Fiberglass, Wood, and Steel Entrance Doors by Simpson, Therma-Tru, Jeld-Wen and more. 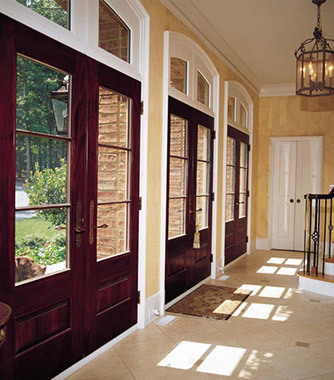 Fiberglass doors offer long-lasting, low-maintenance performance, plus the subtle texture of woodgrain. Wood doors are the classic choice. Featuring old-world charm combined with modern, energy-efficient technology, they’re available in a variety of beautifully grained woods, like oak, cherry, mahogany and pine. Or, choose an insulated steel door for its added energy-efficiency, security, and low-maintenance features. Decorative glazing, sidelites, transoms and more can be added for a truly “grand entrance,” and all can be complemented with etched, leaded, or stained glass. Therma-Tru, the recognized leader in door systems brings you thousands of design options, including sidelights and transoms that will turn your house into a beautiful home with maximum curb appeal. And, Therma-Tru manufactures the industry’s most reliable and innovative collection of beautiful patio doors. Established in 1912, Simpson Door Company is one of the oldest in the nation. 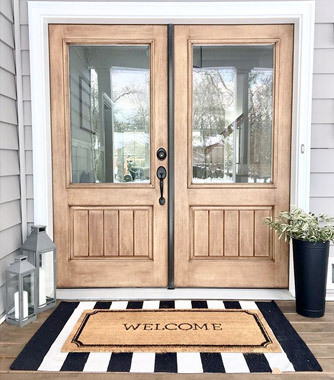 Simpson manufactures a wide selection of wood doors: entrance doors, interior doors, closet doors, bi-fold doors, folding doors, french doors and more, including matching transoms and sidelights. 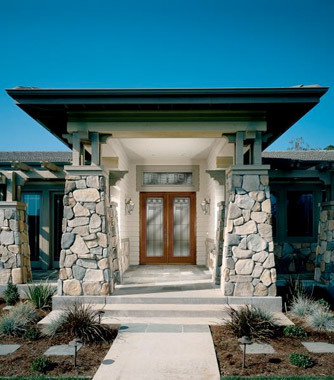 The Andersen Architectural Entranceway product line features unique entrance doors that are designed, engineered and constructed to suit your exact needs. 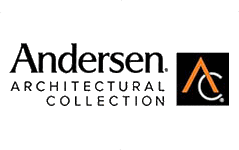 By combining the highest standards of quality and service with a virtually endless array of shapes, sizes and custom options, Andersen offers one of the most extensive product selections available. 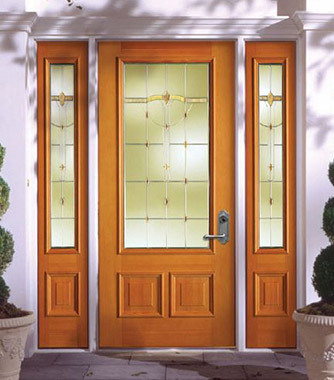 Jeld-Wen entrance doors come in a variety of classic styles, and are available in wood, fiberglass or steel. Jeld-Wen IWP Wood Doors are available in mahogany, walnut, oak, hemlock, poplar, hickory, maple, pine, alder, cherry and fir, and are available in a variety of finishes.